In this window, fill in the details of the personal contact person. Fill in the mandatory fields, with at least one of the contact details. The value of the "Category" field will be available for in the list of this field, for any future contact persons. 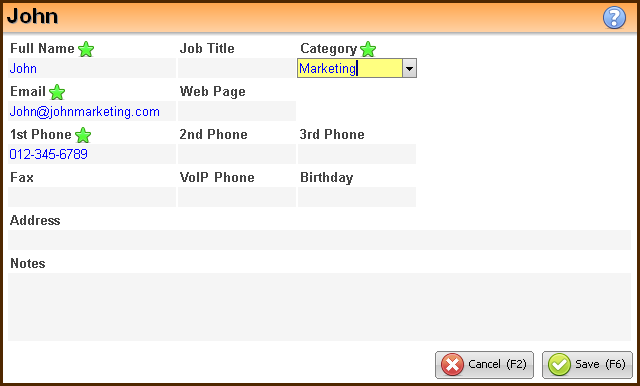 It is recommended to fill in the Birthday field for future use and good relationship retention purpose. Please note - These contacts will not have any Hyper card and therefore will not have any documentation or filing in the system.